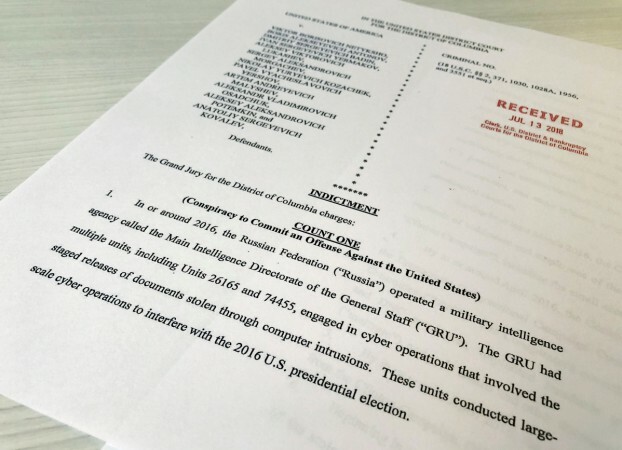 America has indicted 12 GRU officers in the case of election meddling, and while Trump says otherwise, the indictment will have a serious effect on the Trump-Putin summit in Helsinki next week. If US President Donald Trump was inclined to be tentative when raising election meddling with Russian President Vladimir Putin on Monday, the indictment of 12 Russian intelligence officers with hacking in 2016 has made that approach a much harder sell. A federal grand jury on Friday alleged that officers of Russia's military intelligence agency, the GRU, secretly monitored computers and stole data from the campaign of Trump's former rival, Democratic presidential candidate Hillary Clinton. The charges put an even greater spotlight on Trump's treatment of Putin, who has denied making efforts to intervene in the U.S. election that Trump, a Republican, unexpectedly won. Trump has called the investigation into whether his campaign colluded with Moscow a "witch hunt" and has shown an eagerness to get along with his Russian counterpart, repeatedly referring to the former KGB leader's denials of such behaviour. 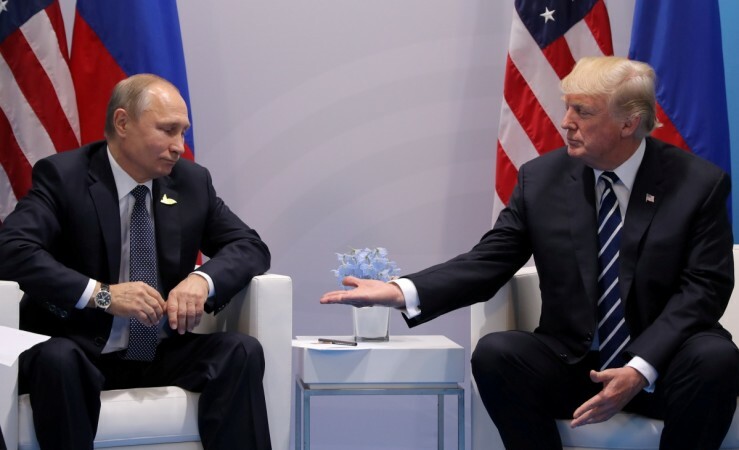 When asked at a news conference in Britain on Friday whether he would tell Putin to stay out of U.S. elections, Trump said "yes". But the president indicated he did not expect much progress on the issue. "I will absolutely bring that up," Trump told reporters. Critics said they were sceptical Trump would press the issue at all, despite the indictments. But the meeting and the extent of Trump's emphasis on election meddling could highlight a divide between him and his own advisers, not to mention other Republicans, about the seriousness of Russia's activities. Defense Secretary Jim Mattis and national security adviser John Bolton, at least prior to joining the White House, have both been more critical of Moscow than the president they serve. And the administration's broader policy toward Russia is harsher than the rhetoric employed by Trump, who recently suggested that Moscow is readmitted to what is now the Group of Seven since Russia was kicked out of the bloc of industrialized countries for annexing Crimea from Ukraine. "The administration has a pretty good policy towards Russia, just the president doesn't agree with it," said Michael McFaul, a former U.S. ambassador to Russia under Obama. 'I can't remember a foreign policy debate that had this kind of disconnect between the president and literally every other person in his administration."